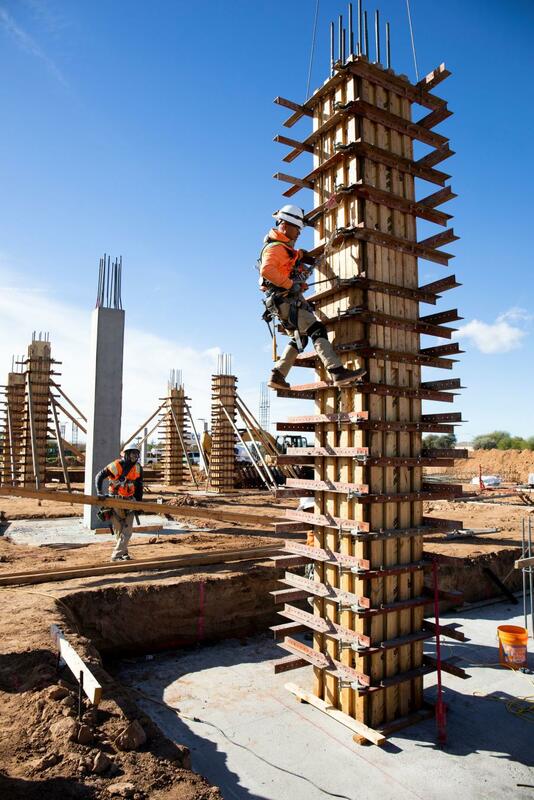 Envisioned to serve as a comprehensive medical care center, a $155 million facility in Maricopa County, Ariz., is becoming a reality. Banner Ocotillo Medical Center will serve the entire Southeast Valley, with a focus on the Chandler population. "The Southeast Valley is one of the fastest growing segments in Maricopa County, with Chandler and Gilbert representing a significant portion of the growth," said Kip Edwards, vice president, facilities services, Banner Corporate Center — Phoenix. "The growth rate in these communities is out-pacing that of the rest of the Phoenix metropolitan area, and will require additional health care services." Banner has more than 80,000 members in its health network insurance organization who reside in the Southeast Valley. 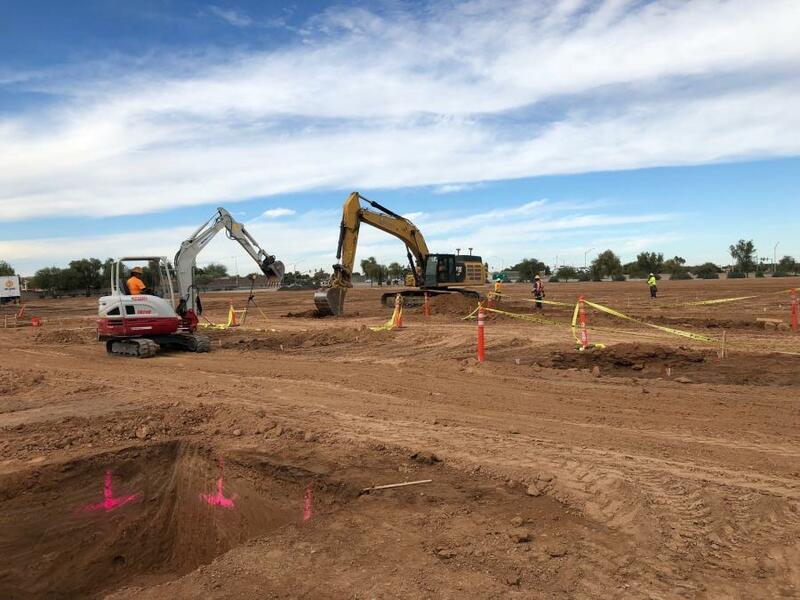 "They participate in value-based health plans that require convenient and affordable care," said Edwards, adding, "With its adjacency to the 202 San Tan Freeway, the new hospital will offer easy access from both the east and west. The reaction from the community has generally been good, with many pleased to hear that Banner is coming to their community." Construction on the project began in November 2018. Upon completion, the four-story structure will offer imaging, surgery, labor and delivery, intensive care, gynecology, orthopedic, cardiology and gastroenterology services, and include a Level 2 emergency room. There will be 96 licensed beds, plus 24 observation beds, to start. 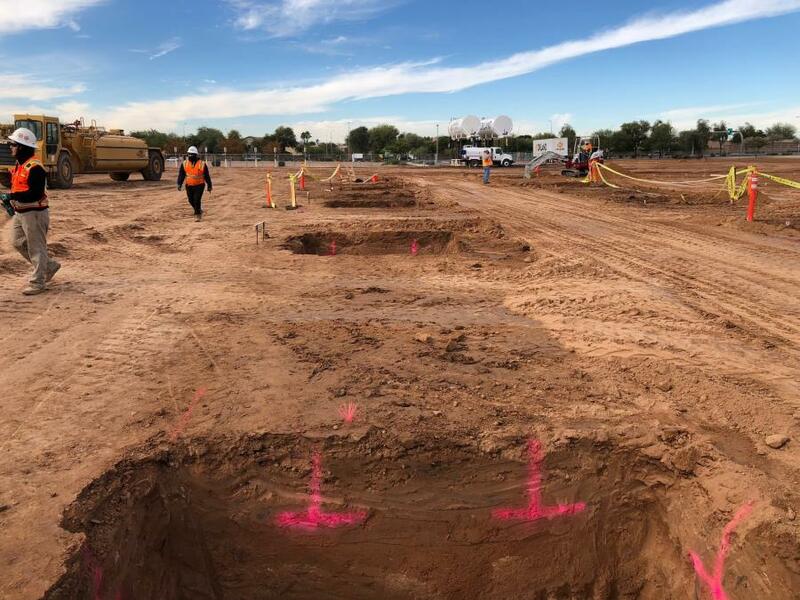 The 245,000-sq.-ft. hospital is located on the southeast corner of Alma School Road and Loop 202 Santan Freeway, and is being built on the same site as the existing Banner Health Center in Chandler. The current facility offers behavioral and mental health services, along with family medicine, gynecology, internal medicine, obstetrics and pediatrics. The architectural style of the new comprehensive hospital will be contemporary and open, with an emphasis on outside light and ease of wayfinding. Edwards said it's extremely rewarding to build a facility that will serve so many people in need of medical care. "We have a great project team, contractor and architect. They were ready and excited to go, as soon as we received the city approvals, and are moving the project on a very aggressive schedule." In a news release, Becky Kuhn, Banner's chief operating officer stated, "We want to provide convenient care that is close to home for our patients and their families. Chandler and the surrounding Southeast Valley is growing fast, and we want to make sure our patients and health plan members have care when and where they need it." The hospital is situated on an 18-acre site, and was designed by the architectural firm SmithGroup. Okland Construction serves as the general contractor. The biggest construction challenges on the project include managing trade partner manpower and labor in the current market, along with lead times. Crews must also manage building conditioning and early HVAC start up, and project cleanliness to accommodate the fast-track schedule. Another concern involves concrete hydration on level four and the roof, and proper curing of slabs before roof/flooring at the top levels. 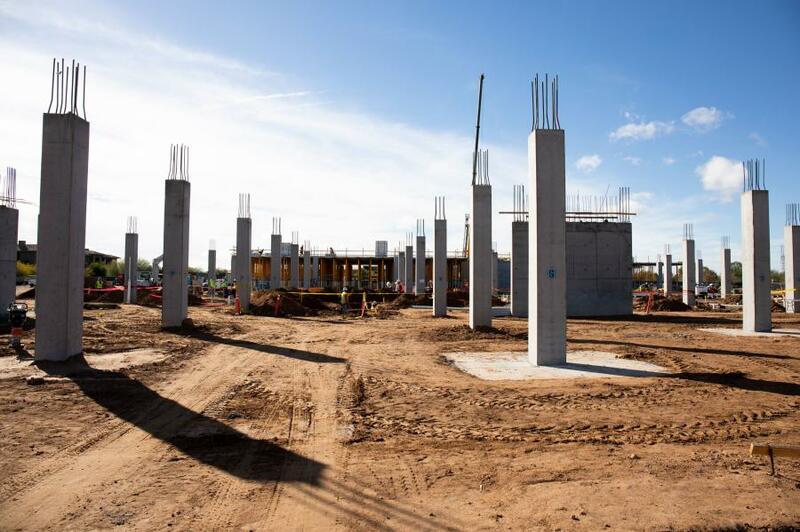 Work currently taking place at the job site includes footing/foundations, concrete columns/walls, concrete slabs/decks, underground mechanical/plumbing, underground electrical and site utilities. The property before work began was an open field with minimal landscape, a fire hydrant and a drywell. Clearing and only minor demolition was required. Site clearing, over excavation/compaction and building pad have been completed, as well as retention basins and drywells. An estimated 25,000 cu. yds. of dirt and material will be moved during construction of the new hospital. With mass grading of the site finished, as well as certification of the building pad and partial completion of site utilities, crews have concentrated on underground mechanical/plumbing/electrical and structural components of the building core and also the shell, which involves concrete foundation, walls and decks. Key tasks remaining on the new structure include the complete building structure and exterior envelope, and rough-in and installation of major medical equipment, building finishes and building commissioning. The building is a concrete structure made of rebar, concrete and steel. 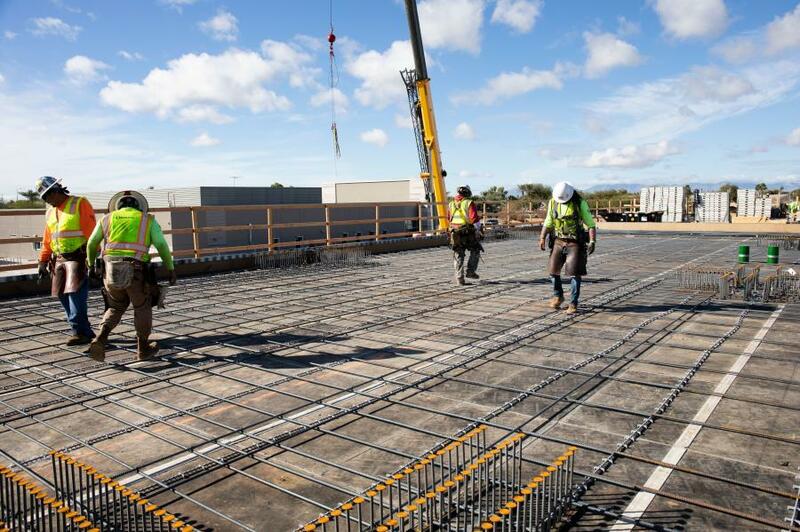 Equipment and materials at the job site include concrete trucks, cranes, concrete pumps and forming systems, such as gates system for columns, an EFCO system for walls and sky deck material for decks. According to Okland Construction project director Jordan Schell, "Hospitals in their nature require a much higher level of technical systems, precision, unique design requirements and special code issues. Some of these additional requirements include medical gas/air systems, strict HVAC requirements requiring additional equipment, extensive emergency power requirements, medical support systems and structure, building coordination for highly sensitive medical equipment and special fire rating occupancy requirements." In addition, testing and commissioning all aspects of the building must take place, to ensure everything is functioning properly before patients can be treated. Banner Health, the state's largest private employer and health system, is headquartered in Arizona, and is one of the largest nonprofit healthcare systems in the nation. The system owns and operates 28 acute-care hospitals; Banner Health Network; Banner University Medicine; academic and employed physician groups; long-term care centers; outpatient surgery centers; and other services, including Banner Urgent Care; family clinics; home care and hospice services; pharmacies; and a nursing registry. Banner Health also has a presence in California, Colorado, Nebraska, Nevada and Wyoming. 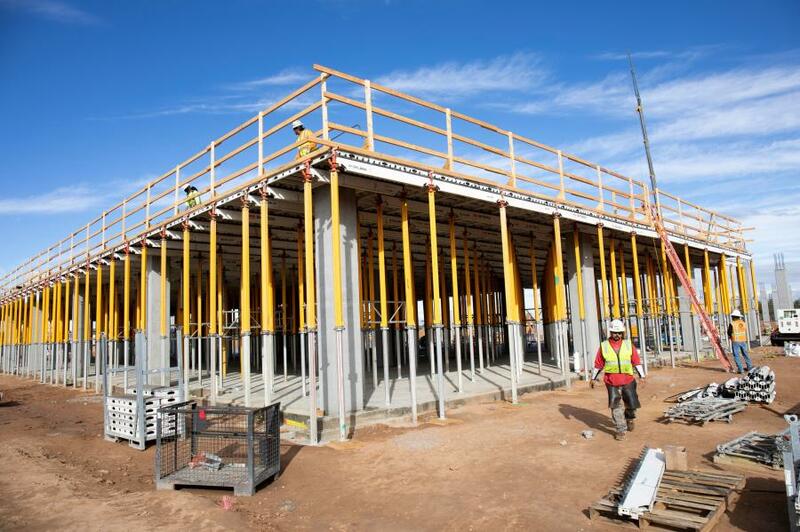 Banner's latest construction project in Arizona represents the future of health care. For the entire team, the years of detailed planning and coordination have been worth the effort. Said Edwards "We are excited to bring these much-needed health services to the community, and look forward to opening in fall of 2020."